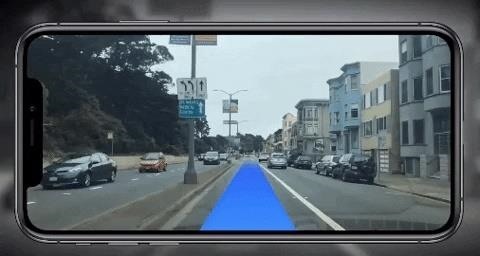 By adding augmented reality data layers on top of a camera's view of the world, the Vision SDK enables developers to create AR navigation apps for automobiles with turn-by-turn directions displayed on the road ahead or 3D content placed at points of interest. 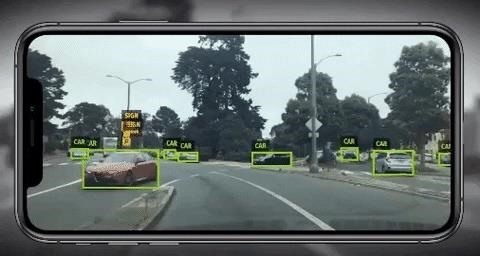 "The Vision SDK processes imagery directly on mobile and embedded devices, so any connected camera becomes a second set of eyes for your car," said Tory Smith, product manager for Vision SDK, in a blog post. "The neural networks run AI-powered image processing at super low power, so it runs on phones and other IoT devices." The latest update to the Vision SDK adds Wi-Fi tethering to dashcams and Linux support for custom automobile and camera hardware, as well as the ability to leverage the software's computer vision capabilities to create safety alerts. "We detect pedestrians, cyclists, and other vehicles in a driver's path. Developers use these detections to send custom alerts to drivers using the Vision Safety module," said Smith. "For example, use sign detection to send drivers alerts when they exceed the speed limit, or distance measurements to warn a driver about tailgating. The safety features of the Vision SDK are especially useful for fleet companies — fleet operators can use Vision to detect road incidents and automatically document them with supporting images or video." Ahead of the public beta, Mapbox has offered to admit 100 more developers to the closed beta. Interested developers can email Mapbox at vision@mapbox.com for consideration. Since the launch of ARKit, Mapbox has been focused on positioning its location services to support various augmented reality use cases, from location-based gaming, like Pokémon GO via its Maps SDK for Unity, to AR navigation via its Mapbox AR SDK. With the Vision SDK, Mapbox is now going toe-to-toe with software companies that cater specifically to automakers, such as WayRay, which introduced its own True AR SDK for automotive AR apps last year.